I saw these two great pieces of graffiti on Canyon Road, and I stopped to look at them much longer than any other graffiti I’ve passed before. I mean… you don’t get quality graffiti like this just anywhere! Maybe the requirements are that all of your low-income inhabitants are artists, and all of your high-income folks are artists, too, who can’t paint over these kinds of things without looking, “uncool.” That must be it! 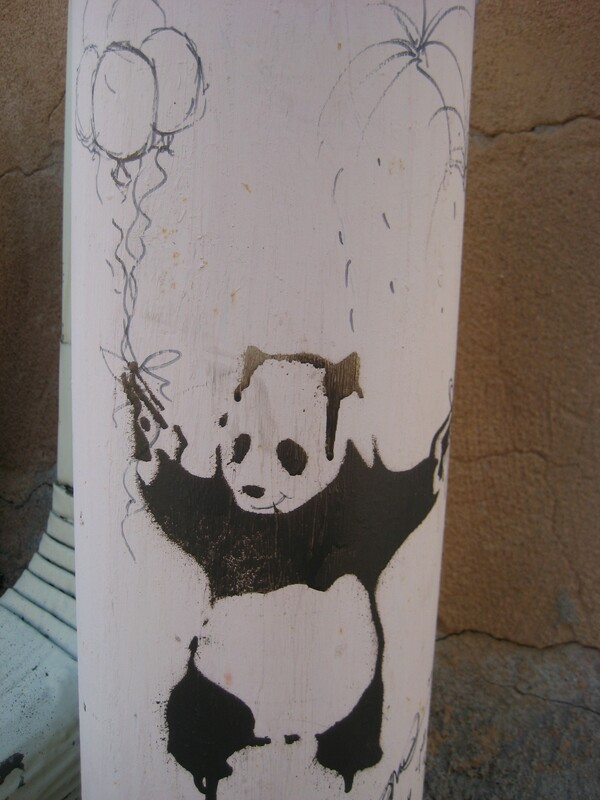 A panda falling with two guns held high- then another artist came in and scribbled balloons into his hands and a smile on his face- he even signed it on the other side of the pole. I love the good humor of man! 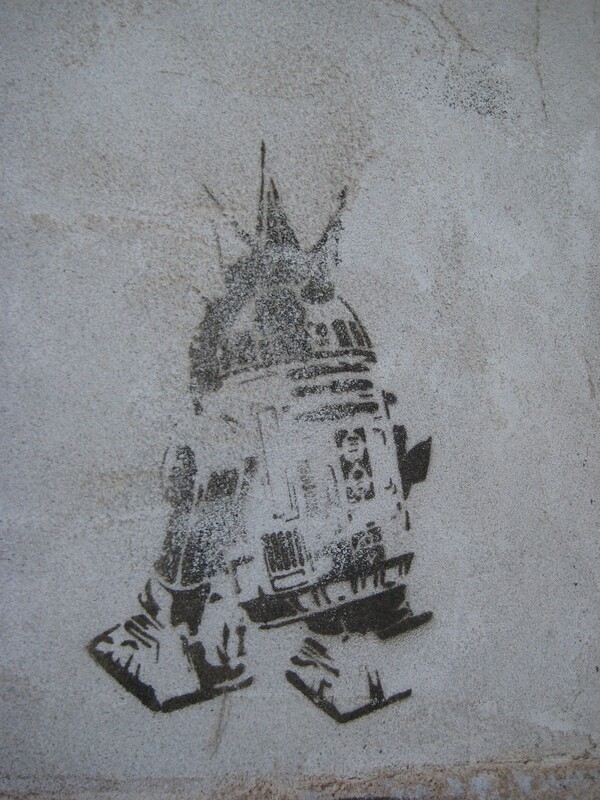 R2-D2 with a crown? Such a cool collage. But what does it mean?!?! Maybe he’s go a really good idea? A short circuit? A medieval halo? Ah, well. I guess I’ll just have to enjoy it for visual’s sake. The adobe texture really makes this look like an overly gessoed art piece. Brilliant! Why can’t all graffiti be this great? Skype has established its web-structured customer beta to the entire world, right after introducing it largely within the Usa and You.K. Chromebook and Linux for immediate messaging interaction (no voice and video yet, those need a plug-in installing).